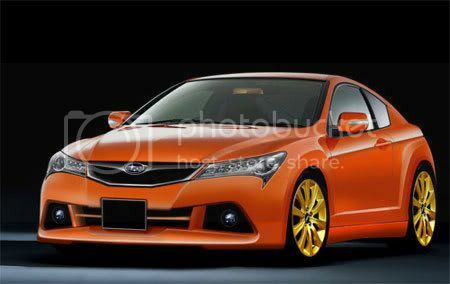 Recently, Inside Line report that a new RWD coupe being developed by Subaru and Toyota. Toyota will only be sold in Japan market while Subaru will be sold outside of Japan. The report goes on to say that the coupe will be based off the Subaru Impreza (despite Toyota/Subaru's own press release saying that it's an "all-new" platform) and that power will be provided by a naturally aspirated, 2.0-liter boxer engine producing 220 hp at 6,500 rpm. Integra Type R is the performance benchmark for the Toyota and Subaru new coupe, with a 103-inch wheelbase, a 2+2 seating layout and a curb weight of 2,866 pounds. As reported before, the coupe will debut in 2011 and pricing is expected to begin just south of $20,000.